Hi Foks.! Welcome to my blog. 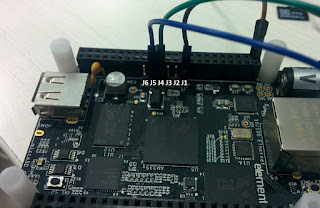 Yes, we are going to boot BBB (Beagle Bone Black) over UART, seems strange..? even I had the same opinion, but its importance is really know when you work on a new board bring up task. 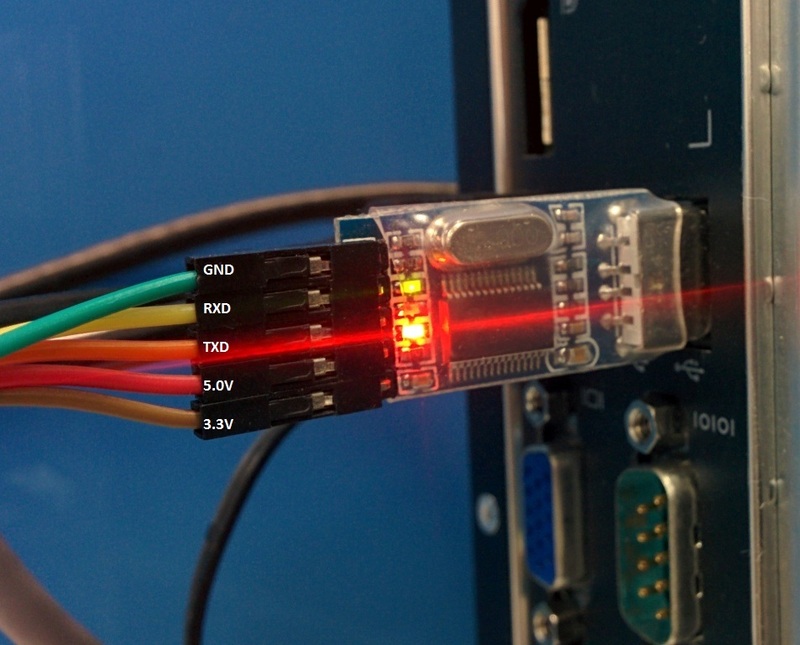 UART interface is very reliable and easy to configure, hence I prefer this as the best option as boot media/interface during bring up time, later we can verify other boot mechanism like boot from SPI/NAND/MMC. Once we are at U-boot prompt we are almost done, we can chose how we want to load the kernel image and from the command line arguments we save the about file system and other extra env settings. CP2102 USB2.0 to TTL UART serial converter module. 100-240V to 5V-1.0 or 2.0A adapter/converter. Note: With USB power BBB will not fall-back to UART boot mode, use power supply. Locate the 6-pin header on BBB, written as "J1" below the first pin on the PCB as show in the below picture. This makes the serial console setup ready. Install all the mentioned packages for making build smooth. BBB has different boots modes like boot from eMMC, uSD, serial & usb. To change the boot mode there is a switch S2, holding the boot switch down during boot without a uSD card inserted will force the boot source to be the USB port and if nothing is detected on the USB client port, it will go to the serial port for download. cd to directory where we have copied images, that is src/images folder. Assuming you have connected serial-to-usb converter, then you see a device node say /dev/ttyUSB0 on your host machine. Launch picocom from the images folder. Step1: Open a terminal, issue command sudo picocom -b 115200 /dev/ttyUSB0 --send-cmd "sx -vv", you will see the following output on the console. Sending u-boot-spl.bin, 570 blocks: Give your local XMODEM receive command now. Step3: Now holding the boot-mode switch apply power to BBB, make sure there is no uSD & no USB cable connected. picocom starts sending the first stage boot-loader u-boot-spl.bin over UART, you will see the following output, after successful transfer you will see the character 'C' as acknowledgement from BBB. Step4: After you see the acknowledgement give key combination ctrl+a and ctrl+s to send the u-boot.img. enter the file name u-boot.img and hit enter, here you need to be patient, transfer of u-boot takes around 2-3 minutes and after successful you don't see any acknowledgement 'C' from BBB, after that wait for another 1-2 minutes to see BBB restarting and halt it at u-boot prompt by pressing a key, you will see the below log. Sending u-boot.img, 3239 blocks: Give your local XMODEM receive command now. Here is the complete log of the boot sequence. picocom -b 115200 /dev/ttyUSB0 --send-cmd "sx -vv"
from u-boot its always up to you from where you load the kernel and filesystem. any example of bin to move the led ? Hi Micka, are you looking for a sample code that does blinking of LED ?? Yes ! Exactly ! but the program has to be downloaded with uart0. have you booted to Linux shell?? or you want to do the LED control from MLO?? I've erased the emmc and I've no sdcard. I am not having a sample project, but I can give you some inputs. - The option I would prefer is to compile the u-boot, and then control the on board user status LEDs, USR0-3 which are connected to GPIO1_21-24 pins. Do you have the source of u-boot and able to compile it and load the images generated using UART?? From where you have downloaded u-boot & I understand you are building for beagle bone black, correct me if I am wrong. What is the tool chain you are using for cross compilation?? I have followed steps in this blog. I am using a BBB from element14. Is there any additional step that I must do? I tried the fresh building on a new Ubuntu machine, I came across the same issue you have mentioned. silica@Ssilica:~/src/images$ picocom -b 115200 /dev/ttyUSB0 --send-cmd "sx-vv"
Please try to install the following package, I hope this should resolve your issue. Unfortunatelly, this doesn't work. I still have the same problem. Is it related to picicom? 2) Now run the picocom, picocom -b 115200 /dev/ttyUSB0 --send-cmd "sx-vv"
3) If this doesn't work try running as sudo, please let me know the status. hey could I contact you with help with a project I have? I have a BBB that ceased to boot. Connected an FDTI serial, and found that the board was outputting only the one-line SPL banner. I can UART boot another BBB purchased at the same time (these are early revs - A5B if it matters), so I know my images and the process are fine (though as documented here, there's no indication that while the SPL is uploaded using xmodem-1K, the second stage is supposed to be uploaded via ymodem, not xmodem). The problematic board will enter the UART boot mode, dumping out 'C' characters endlessly. I can push the spl to it, and it stops outputting 'C', but never shows the SPL banner or allows a subsequent image transfer until reset. I'd use JTAG, but the header and necessary adapter are not readily available. Plus I fear it would be more wasted money (the SAMTEC header would be soldered to a board which may be toast, and the kits don't appear to come with multiple headers). I'm suspecting the CPU memory has a fault. I booted it a few times probably in late 2013, then set it aside. I believe I'd updated the CLOUD9 image on the eMMC with an image from a couple months after I purchased the devices (the SPL banner shows a build date of Jun 19 2013), but it was certainly working at the time. Did you get acknowledgement 'C' after you loaded SPL ? I recently had a issue with BBB, which I have used it extensively, it ended up failing to boot as there was errors reading EEPROM on I2C-0 for board-IDs to do necessary pin muxing. I have modified code to stop reading from EEPROM and I have hard-coded the values to make it boot. I have the same problem, I was following the instructions from a book, so I use mmc dev 1 and mmc erase 0 512 commands. I the unplugged the BeagleBoard and it just don't boo anymore. From UART connection I just get 'C' character 6 at a time. But no response. With picocom I can't get it to work Ctrl+Shift+a, it does nothing. Any idea or suggestion will be welcome. I saw the character 'C' but I couldn't send the files to boot. Finally I was testing and I could do it by xmodem. Now it boots from UART but I want to recover my eMMC and SD card boot, I have to find out how. Any help will be appreciated. I was trying Yocto deployment tool to learn how to develop an embeddded linux. Hi Bhaal, may be year or two back I have tried Yocto & Openwrt on Panda board, but not on BBB. When I get some time on this I will try and be in touch with you to share knowledge. ctrl A is not working in my picocom? /images$ sudo picocom -b 115200 /dev/ttyUSB0 --send-cmd "sx-vv"
Sending u-boot.img, 3265 blocks: Give your local XMODEM receive command now.